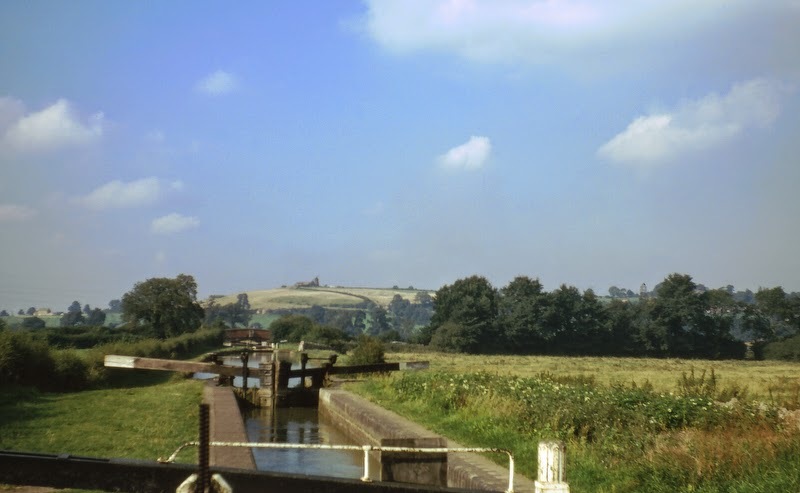 Following on from the canoeing trips, my parents graciously arranged several other canal holidays, and we also convinced the in-laws to try it as well, this time on the Oxford Canal, the Leicester Main Line and the Shropshire Union canal - 1971-73. 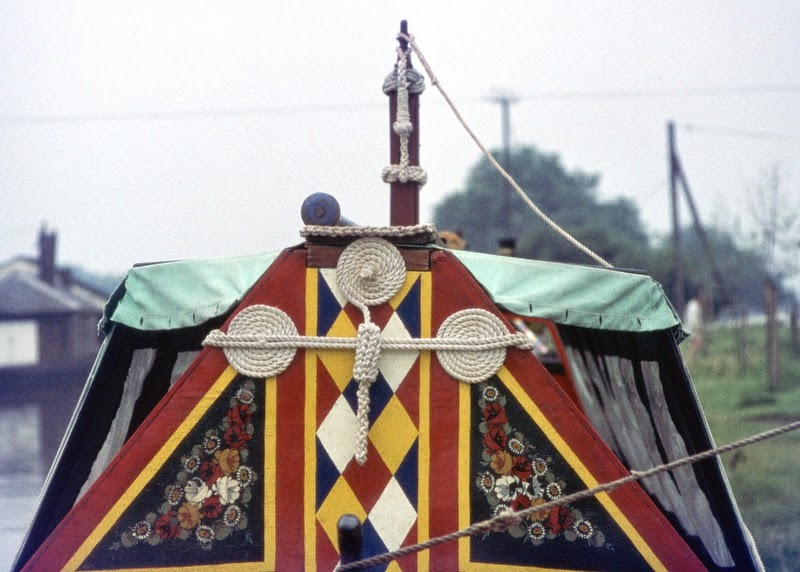 We used various hire boat companies, the Oxford canal trip was not without it's problems as the boat had a slipping clutch - the weather was very windy, and we were going backwards! We thought at first it was something round the propeller, but there was nothing, so out the engineers came, fixed it, and off we went. 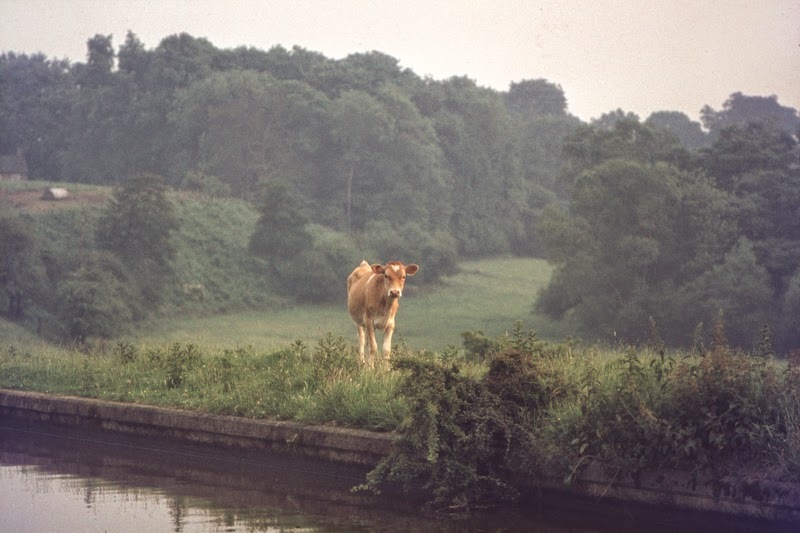 The Oxford canal was very rural and seemed like being out in the wilds to someone born on the edge of London. Little did I know I would end up living about a mile away from it before emigrating to France - it really wasn't that far away at all. 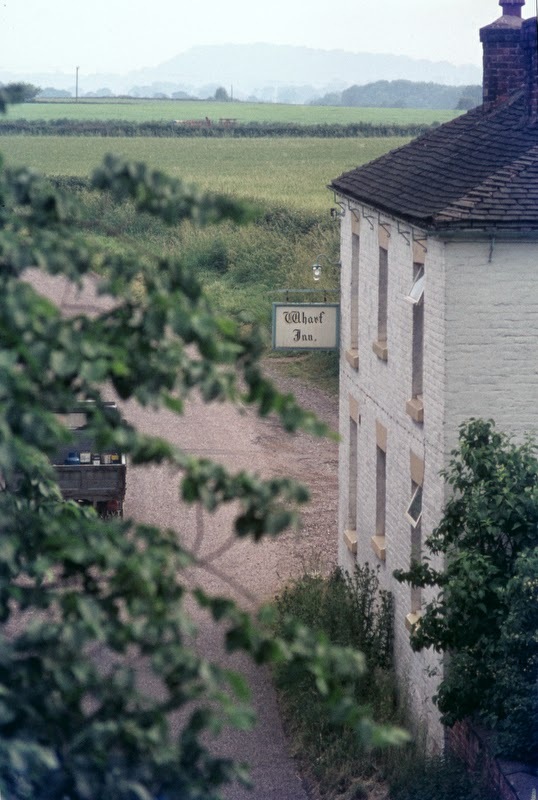 Napton is one of my favourite places, with it's hill and windmill that seems to be visible from the canal for miles. Unfortunately I still had a terrible camera! 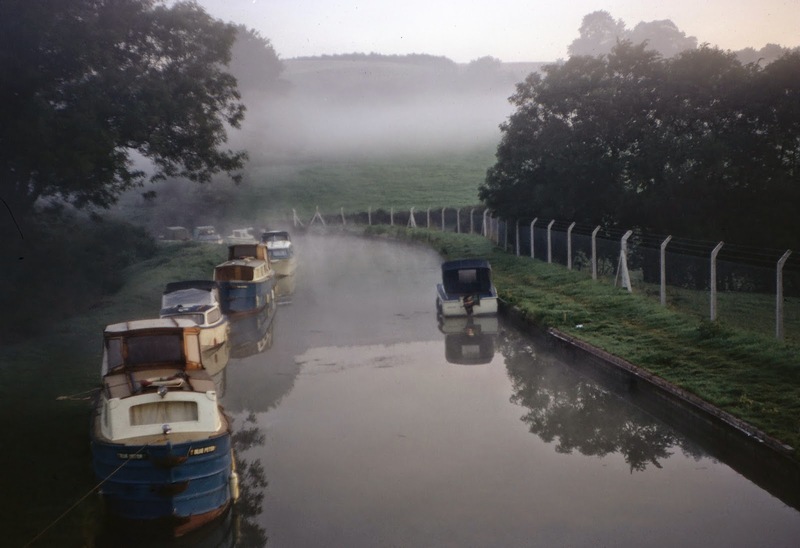 One of the things I love most about canals is the misty mornings, and being water, there's always mist! 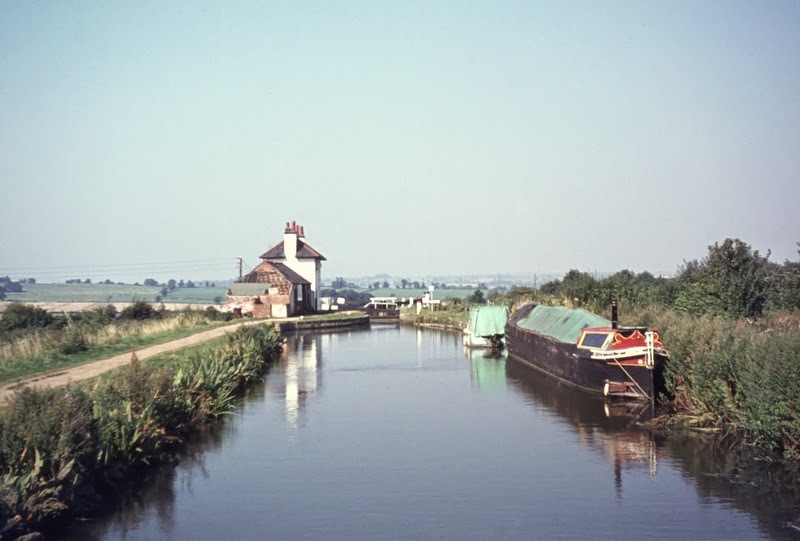 The Leicester Main line of the Grand Union is another very rural canal, so much so that my father-in-law from Watford thought it was too isolated. 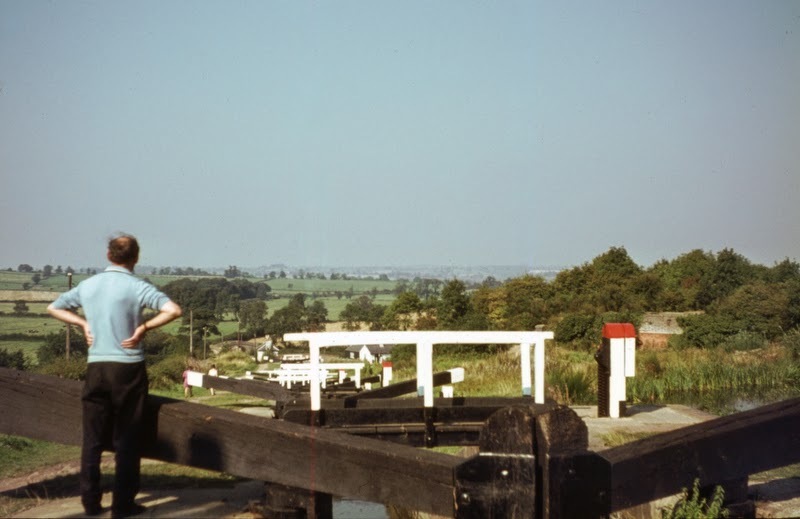 This is a photo at the top of the impossible Foxton flight, in the days before lock keepers and gongoozlers (no offence, I've been a gongoozler too!). Even years later I still got it wrong and left a bottom gate paddle open while filling the next in the staircase. The defunct inclined plane would have been a boon. The flight is actually two sets of five locks, each of which empties into a side pound which is used to fill the next lock down. I love the Shroppie, it has a sort of ethereal quality - maybe because my first trip down it was accompanied by a thunderstorm. We moored opposite this calf and a couple of donkeys, above a valley, and the sounds were echoing around the valley as they only can before a storm - magical! On the Shebdon embankment, we stopped near the Wharf pub, I believe this is closed now, but not until after some major alterations. Here it is back in the 70s. 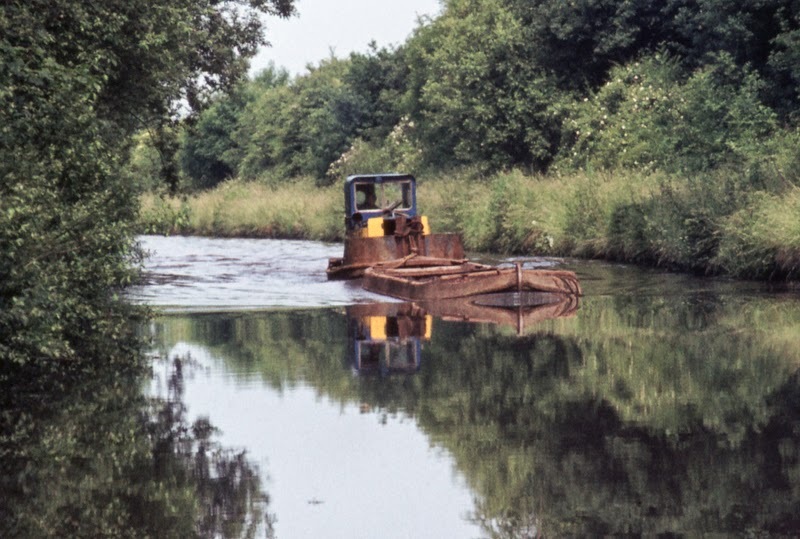 During these few years we also had a trip on the Macclesfield canal, but the weather was apalling, and my camera even worse, so there's not much to show for it! 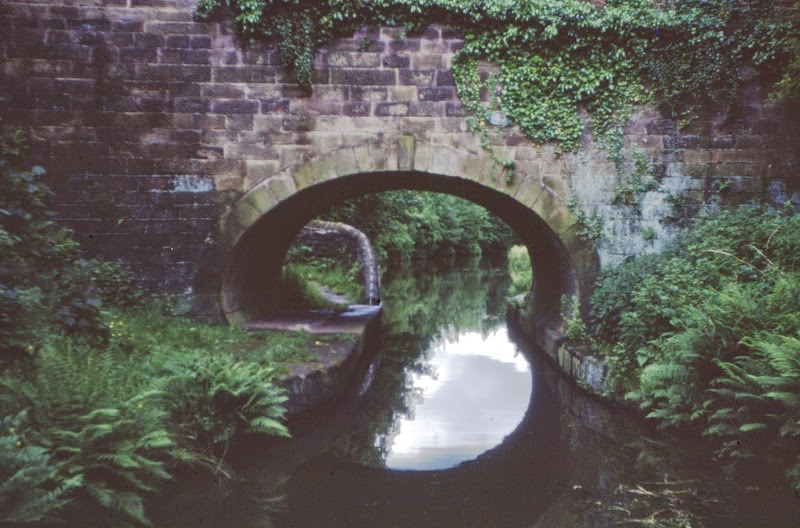 A lovely stone bridge with a roving towpath though. You can tell by all the ferns that it's often wet!